The new kid on the block in late 2018, White Rhino certainly made itself known pretty quickly - And we fell in love just as fast! Located in Circle on Cavill and taking up multiple levels, White Rhino is the shining new star in the Surfers Paradise crown, decked out with a water feature, plenty of hanging greenery, a fake rhino and even a tree smack bang in the centre of the space! Open for lunch, dinner, snacks and cocktails - So basically all the time - White Rhino is the perfect space for a pre-beach lunch or a night out with the gals. Also, did we mention their cocktails are to die for? Delicious and totally insta-worthy, it's the perfect way to spend a Friday night! What do you get when you combine golf, friends, cocktails and a good time? You get Australia's only indoor golf space, Top Golf! In case you've been living under a rock, Top Golf is the incredible new golfing space up the Northern end of the Gold Coast, introducing an entirely new way of golfing that's enjoyable for more than just retired businessmen. Open from 9am until late basically every day of the year (excluding Christmas and ANZAC Day), grab your mates, some fries and a golf club and hit the booths - Because what's better than spending an evening getting rid of all of your frustration than by whacking a bunch of balls? We all know that the Commonwealth Games athletes lived in a village down in Southport - But did you know those apartments are officially now open for rent? Aptly re-named 'The Smith Collective', the entire space is dedicated to providing the perfect rental lifestyle, complete with beautiful gardens, kids spaces, multiple swimming pools and multiple shopping spaces to create the perfect haven for just about anyone. Renting out one, two and three-bedroom spaces five minutes drive from the Broadwater and right across the street from Griffith University, The Smith Collective is changing the way the Gold Coast looks at rental spaces - And you can stay as long as you want! Palazzo Versace have never let us down when it comes to fine dining - So we were super excited when they opened up their newest restaurant Kokum last November! A new dining experience by the Michelin Star Chef Manjunath Mural, Kokum Restaurant celebrates Asian and Indian flavours in his incredible new menu, combining everything from Seafood and Steak to Rendang and Kofta in a tantalising menu that'll satisfy even the pickiest of tastebuds. Indulge in Oysters, Sous Vide Pork Belly, Rendang Lamb or Quail and Beef Kofta, then finish it all off with a bottle of carefully curated wine for the perfect evening out! So maybe we don't have another Commonwealth Games again this year (or ever), but we thought our 2018 look-back wouldn't be complete without mentioning the incredible feat of sporting excellence that the Coast was treated to last year. Kicking off on April 4th, the world watched as we celebrated Australian culture and sports in a spectacular Opening Ceremony before turning our screens to eleven incredible days of sport, involving 4,500 athletes from seventy-one nations completing in twenty-five different sports. We swam, we ran, we hit and we twirled through numerous days or sport, celebrating the successes of our athletes and those from all over the world in an incredible eleven days of sport that the Coast will never forget. This one was a late-comer in the line-up of new spaces opened last year, but BKA Vegan has very quickly become one of our favourites! A new Vegan bar and restaurant open in Burleigh right across the road from the beach, BKA Restaurant is filling a void in the Burleigh foodie life with its delicious Vegan food, serving up smoothies, brunch, share plates, dinner and cocktails from 10am onwards. If you've ever been curious about Vegan food but you haven't known where to start, BKA is the place, creating food that's Vegan-friendly without being obviously Vegan, with French Toast, Mac & Cheese, Tacos and more on their menu that's perfect for Vegans and non-Vegans alike. Come in with your gal pals post-beach and indulge in Acai Smoothies, French Toast or their delicious Green Smoothie bowl, or book yourself in for a dinner of Eggplant Cannelloni, Tacos, Ramen and Caesar Salad, complete with beer and cocktails to round off the perfect weekend! Running annually in the Southern end of the Coast, no highlight reel would be complete without featuring the incredible sculptures from SWELL sculpture festival 2018. Running for just over a week, SWELL allows for Currumbin Beach to be turned into a free, interactive art exhibition every year, featuring work from artists and sculptors all over Australia in one of the greatest exhibitions in Australia. Featuring everything from prickly teddy bears to abstract art, SWELL never fails to excite locals and tourists alike with the exciting pieces practically popping out of nowhere - Which is why we're so excited for it to return again on September 13th! What's the perfect cure for any long day ending in y? A drink (or a few) from Granddad Jacks Craft Distillery! Opening its doors in August last year, Granddad Jacks has been serving up carefully curated craft Gin to all of us lucky souls on the Gold Coast, following the recipe from Granddad Jack himself to make some truly one-of-a-kind Gin that you'll absolutely love. Serving up three different types of Gin - Greenhouse, Two Pencils Dry Gin and 65 Miles - Alongside a range of gin-inspired cocktails (think Martini's, Gin & Tonic and Tom Collins), Granddad Jacks is the perfect space to relax and unwind after a day at work, complete with a rustic feeling and comfortable couches ideal for lounging in. If you want to find out some of the secrets behind their Gins, Granddad Jacks also hosts Distillery Tours and Tastings - So why not get gin-spired! If you need a really good excuse to spend a weekend drinking fine wine and eating excellent food, The Marine Village has you covered! 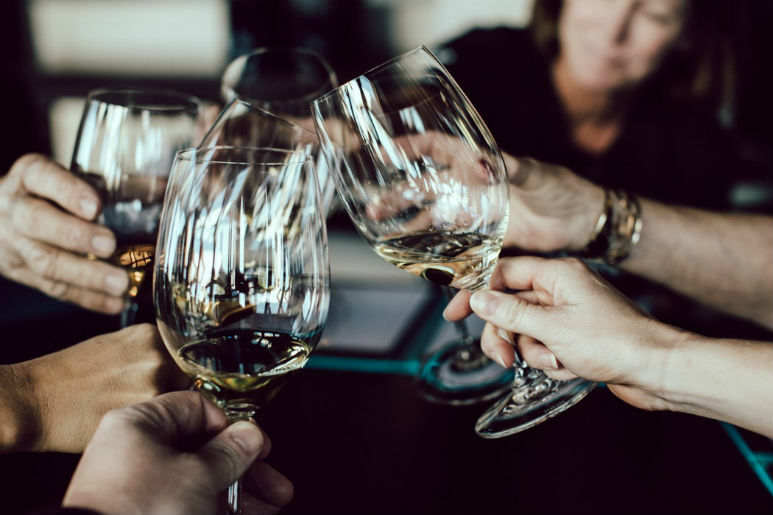 Hosting their Winter Wine Festival in July last year, the entire idea behind the festival is to spend the weekend indulging in quality wines, eating excellent food and spending time with friends - Because there's no better way to spend a weekend than doing exactly that, right? Running over the course of a weekend, make your boozy way through dozens of styles of wines, with everything from local to international and exclusive wineries bringing along their wines for you to try. If you're wanting to learn a bit more about wine, you can also book yourself into a Wine Masterclass and learn more about all of your favourites. A weekend of food, wine and friendship? Wine not! If you're a bit of a burger fan, boy do we have the space for you. Opening their first Gold Coast store in May last year, Milky Lane is a serious burger fans paradise - And with burgers piled high with almost everything imaginable, it's no wonder why! Serving up burgers so big you'd have to eat them to believe it, as well as Popcorn Chicken, Mac and Cheese, Loaded Fries and even dessert, eating out here is a serious cheat day. So while you're there, why not finish off the evening with Milky Lane Punch or their Bubble-Gum Sour cocktail? One of the last spaces to open in 2018 - Opening right at the end of December - Burleigh Pavilion has already enchanted locals from all over the Coast, and it's not hard to see why. Overlooking Burleigh Beach, Burleigh headland and the Pacific Ocean, the Pavilion is the stunning new jewel in Burleigh's crown, providing a beautiful space to laze away the afternoon after spending a day at the beach. Dry off after a day in the water and grab a space on their beach bars or the balcony, where you can indulge on wood-fired pizza, burgers and seafood while sipping your favourite beer, wine or cocktail. Open from 12pm to midnight every day of the week, there's no better way to waste away the weekend than by sipping champagne and eating seafood while the sun sets over Burleigh beach - So we'll see you there!